You don’t have to be a brilliant vocalist – all that we are looking for is enthusiasm and the ability to sing in tune. Although some musical knowledge is an advantage, it isn’t vital as you will be taught the music for the shows and voice part CDs will sometimes be available for practice at home. Currently, our main ensemble rehearsals are held on Monday evenings from 8:15pm to 10:15pm at St Hilda’s Church Hall, Ashford, Middlesex, TW15 3QL. Rehearsals are also held on some Wednesdays, from 8pm-10pm at The Magna Carta School in Thorpe Road, Staines, TW18 3HJ in drama studio T1. These rehearsals are primarily for principal roles, but occasionally everyone may be required. 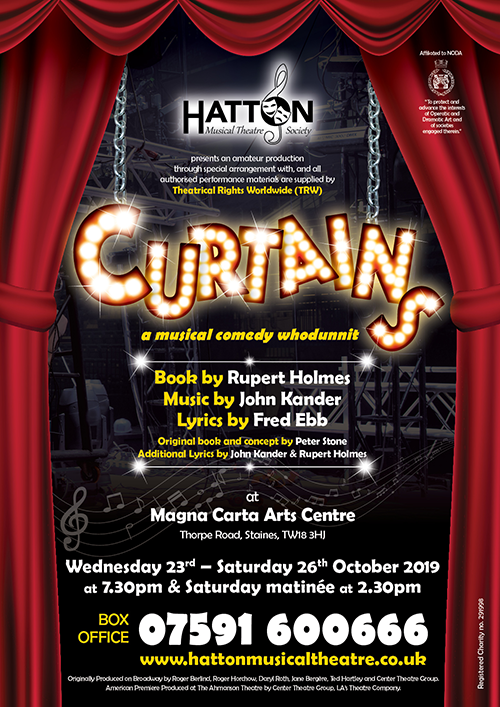 A few additional rehearsals (usually no more than four) are held on Sundays, also at St. Hilda’s, in the run up to the show. A schedule of rehearsal dates is issued shortly after work starts for a production . If you are interested in joining us, just come along to one of our Monday rehearsals at St Hilda’s. You can attend up to three rehearsals to see if you like us before making a commitment. The membership subscription is currently £3 per week for working adults and £1.50 concessions – i.e. full time education or on benefits / pension. Monthly membership is £13 / £6.50. Members are also required to sell a minimum of eight tickets per show (or ten per family). There may also be a production levy of approx. £50 per show. 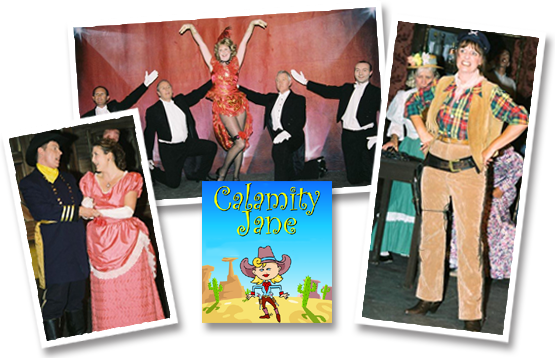 Over the years we have organised a variety of other activities, for example concerts, car boot sales, sale of Christmas cards, river trips, theatre visits, quiz nights, barn dances, meals out and talent nights. If you are not interested in performing on stage but would like to become involved in some other way, there are many other jobs for which we need volunteers, e.g stage crew (AKA Attics & Beds), costumes, props,chaperoning,box office, photography, make-up, web site management, press and publicity, organising social and fund-raising events etc. As we now make our own scenery and a lot of our own props there is always plenty to do and lots of fun to be had . Another way of supporting the Society is by becoming a Patron. 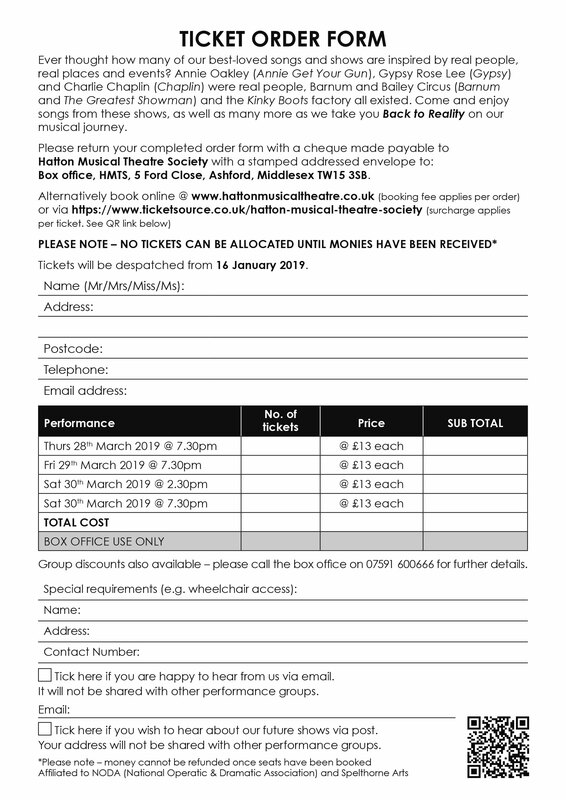 In return for a minimum subscription of £10, Patrons receive advance notification of all productions and social events and copies of the Society’s newsletters. Please email us if you would like to become a Patron. If you would like to receive further information about any aspect of the Society, please e-mail our Secretary.